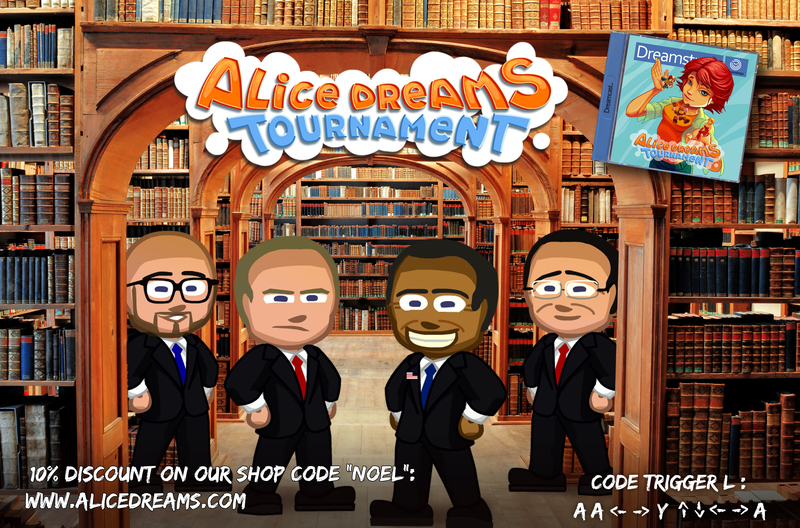 Hello, we propose a rather original advent calendar, since we will unveil every day a cheatcode to unlock a character in Alice Dreams Tournament! Photos of the game !! Here are some pictures of the game taken this weekend during the RGP in Meaux! 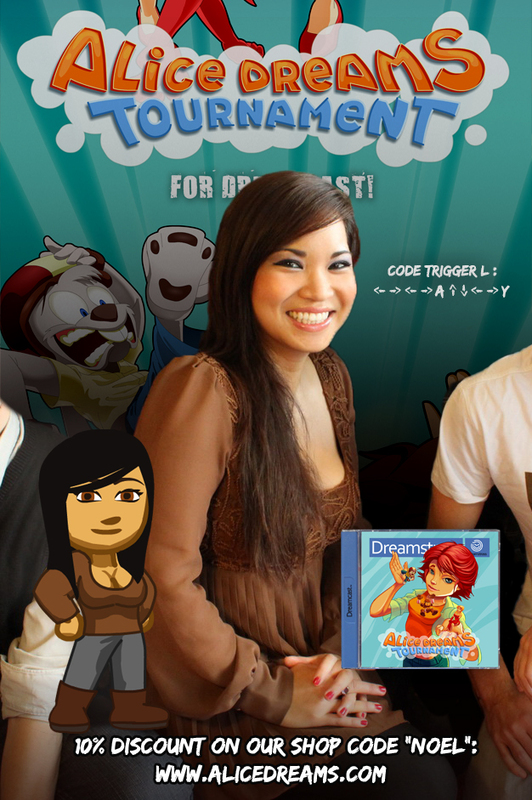 Thanks again to all of you for helping us fulfill our dream! We have finally been able to hold in our hands the concretization of all these years of development! We are in the process of preparing the shipments, they will soon leave for you! The PAL collector version is not ready yet because we still lack the front covers (not delivered by mistake by the factory). And a part of the back covers (in delivery). Some of the lamps are also still in production. Sales are stopped until the games are sent to contributors. We will then open an online store to sell the remaining copies! We received the games ! 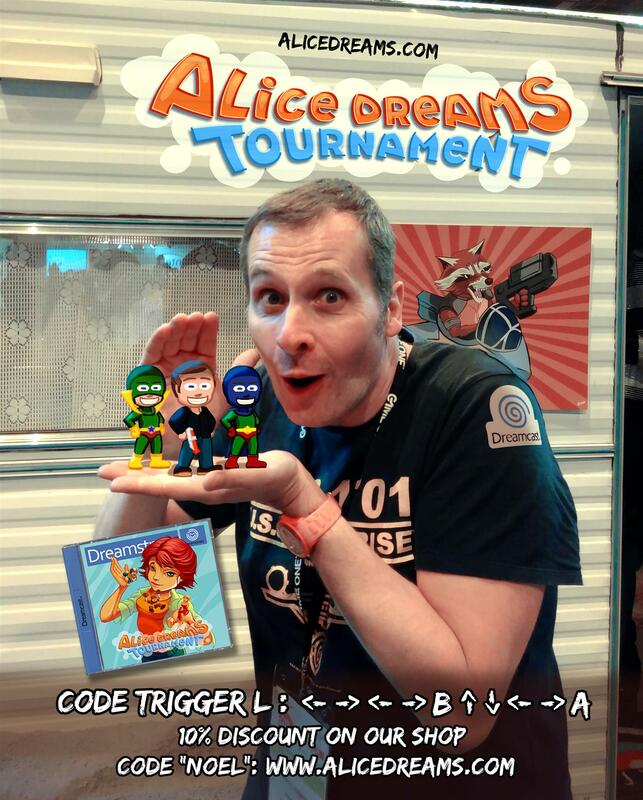 A quick news to share our joy with you : we received the games !! 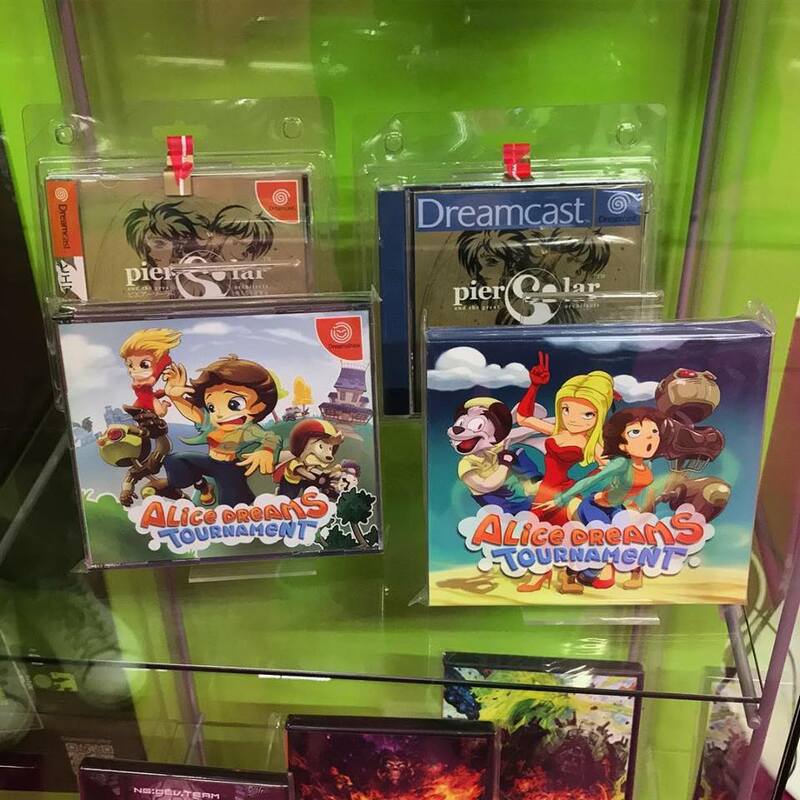 All versions are there, except the PAL Collector edition where we still lack the front and back covers (in production). 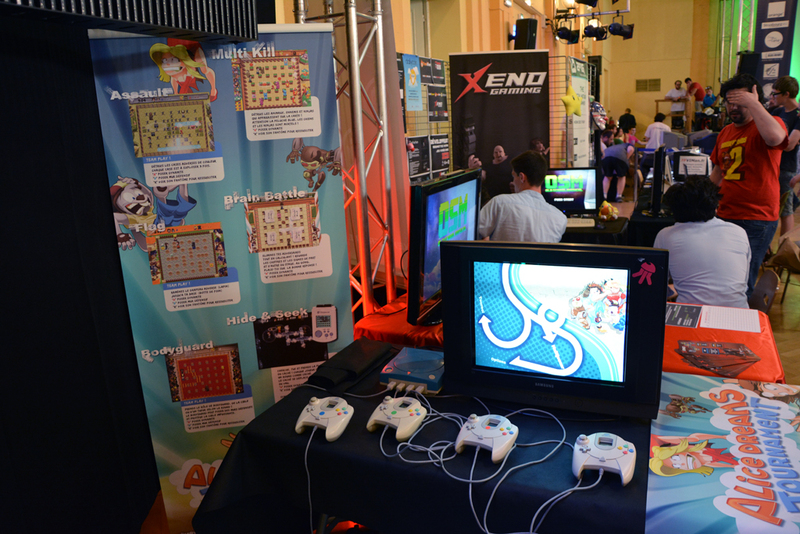 As we will be at the Retro Game Play this Saturday 18th and Sunday 19th February 2017 in Meaux (retrogaming convention open to the public), we will take photos and share them with you! 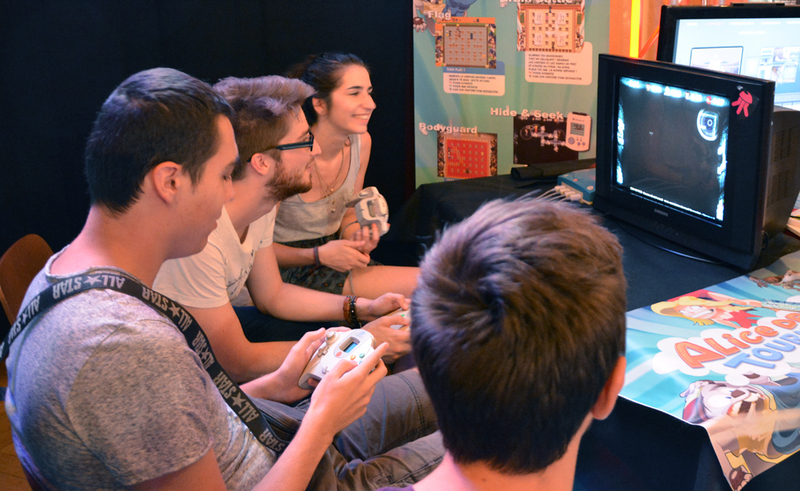 If you are a contributor and near Meaux, you can pick up your game and we will gladly dedicate it to you if you wish! 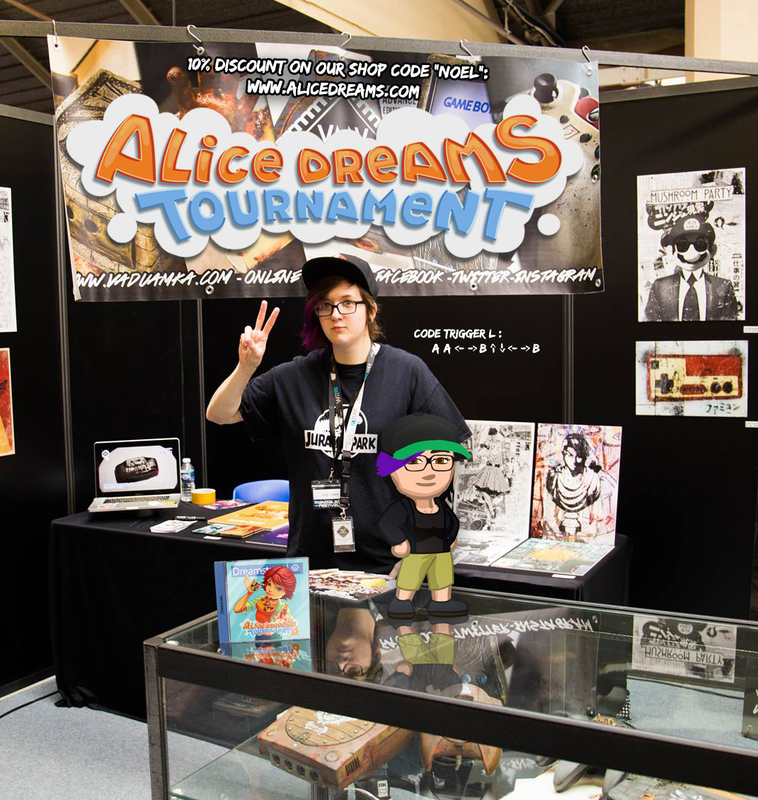 We will also have copies of the game for sale on site! We will of course keep you informed as soon as we are ready to ship to the contributors. 1) The production of the game is still in progress and will soon end! We will inform you as soon as we have finally received the games! 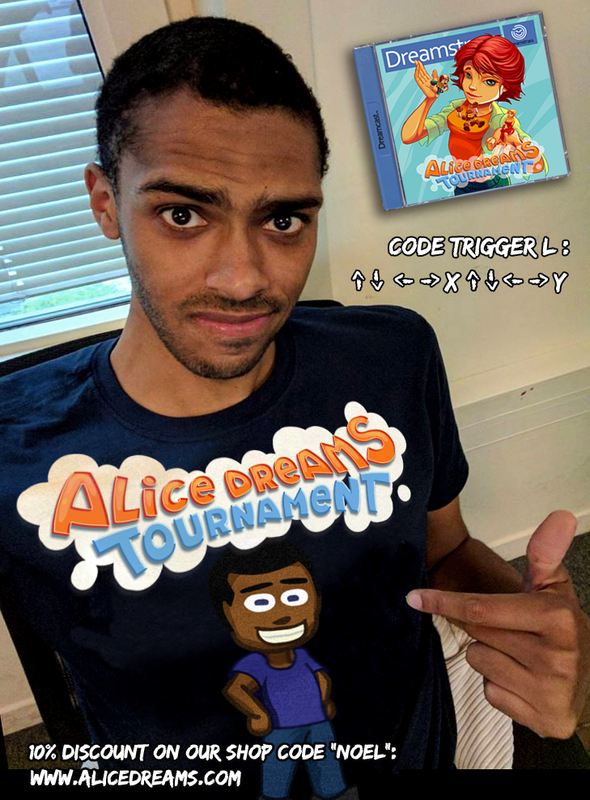 2) If you want to support a new Dreamcast game project, Orion launched a KS campaign that ends on February 7th. Feel free to support it ! 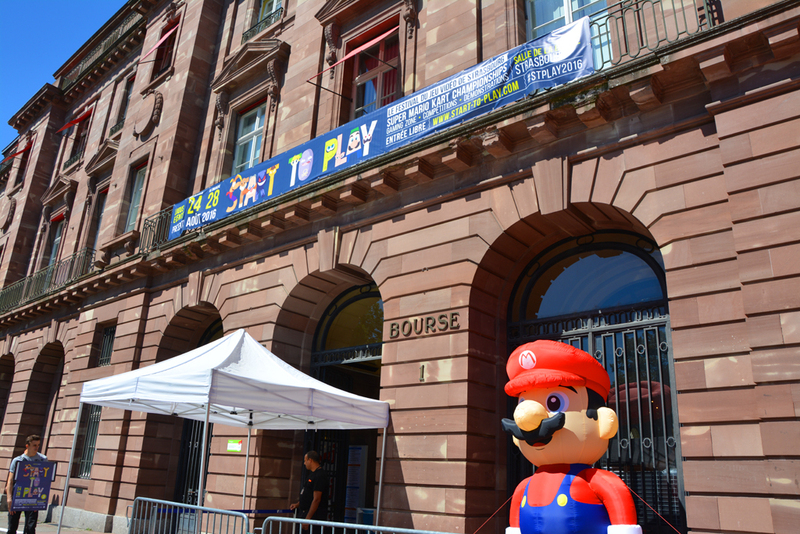 3) We will be at the “Retro Game Play” on Saturday 18 and Sunday 19 February 2017 at Meaux (France) for a retrogaming convention open to the public. 1) Development of the game is finished ! The final images of the regular and collector edition are ready! Now time to the stage of production! 2) Vadu Amka finished consoles and controllers with the artwork of the game for contributors to “the Ultimate Dreamcast Fan” ! 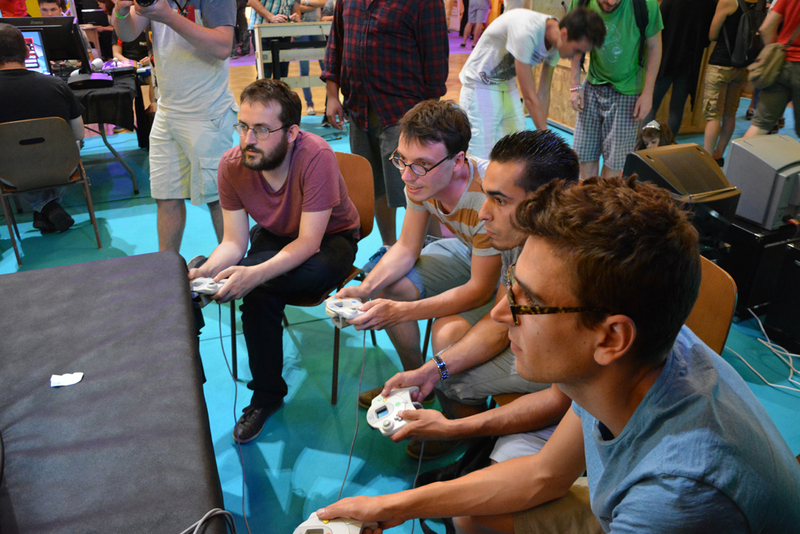 More photos here / Vous trouverez plus de photos ici ! 3) As a thank you for your patience, here is the making of ! 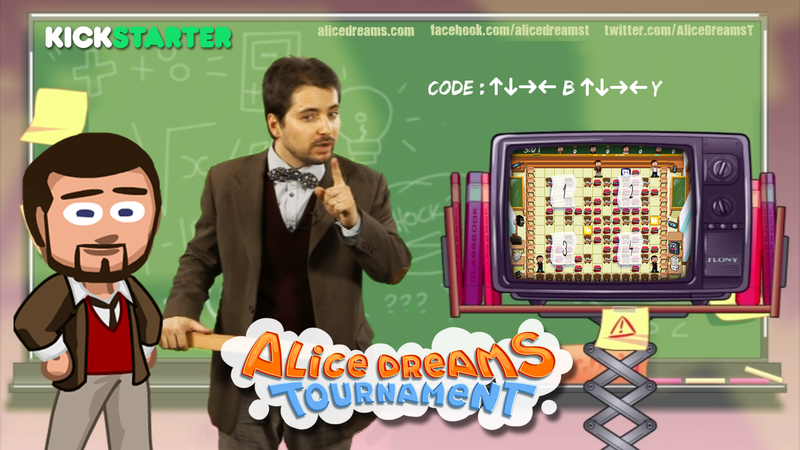 You’ll know everything about the game’s development! 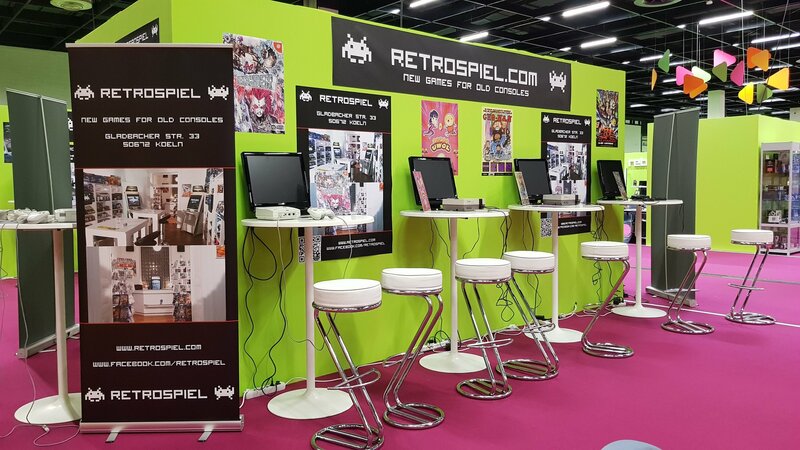 4) We will be at the Paris Games Week on Friday, October 28, 2016, thanks to our friends OrdiRetro! 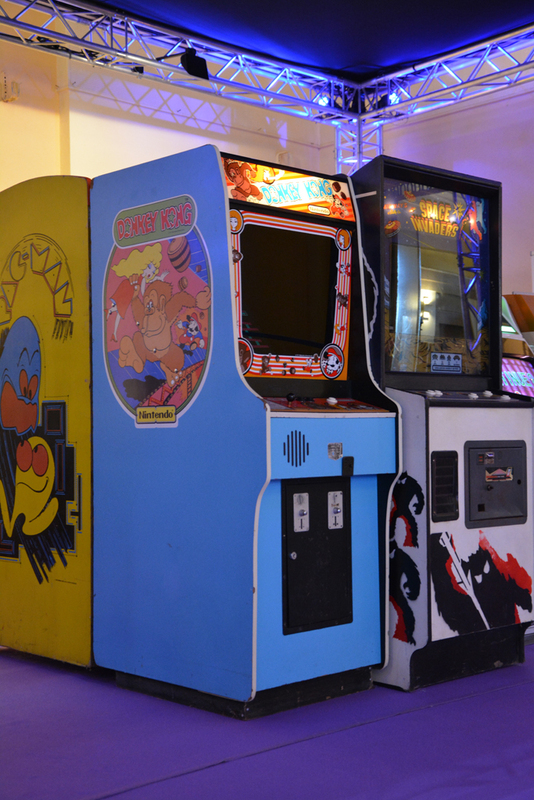 We will be present on the exhibition “Retro To The Future” ! 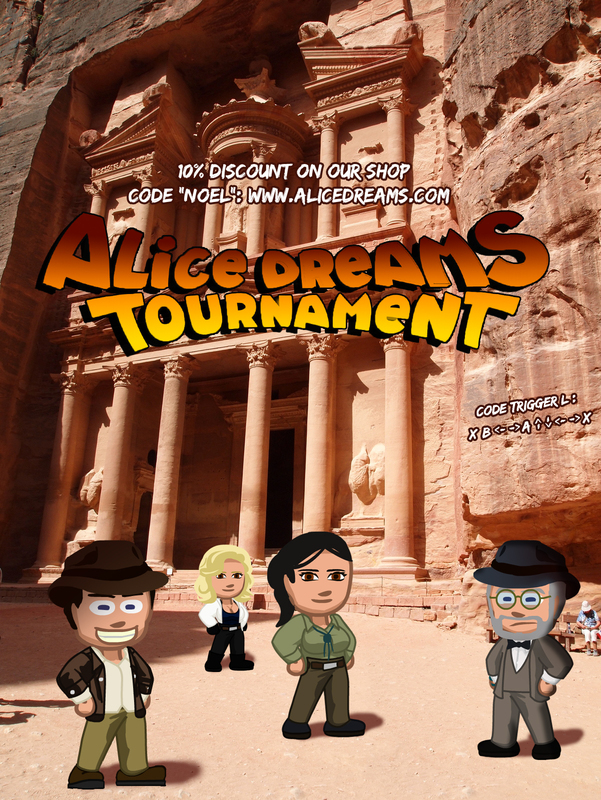 We expect you to visit us and of course play Alice Dreams Tournament ! See us at HALL 1 B 053. 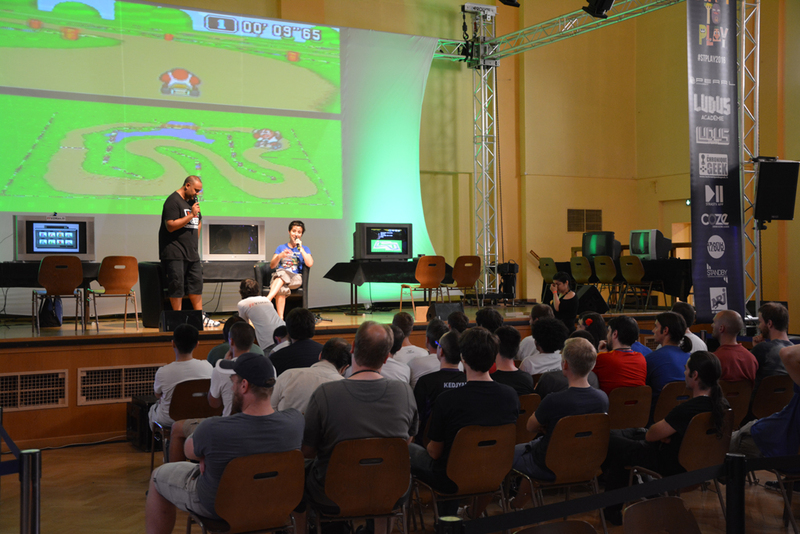 5) We will be at the Retro Gaming Connexion 2016, on October 29 and 30th in Meaux! 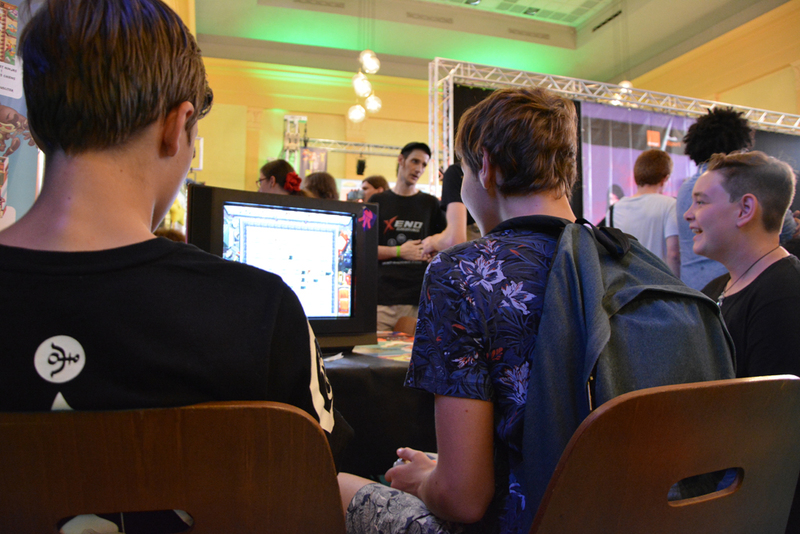 The opportunity to meet many contributors and show them the final version of the game ! Hi ! Still in strasbourg at the festival Start To Play! 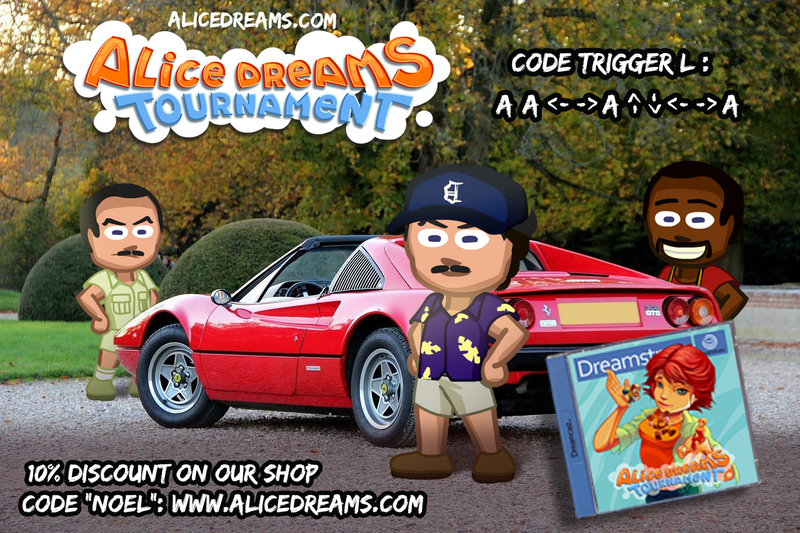 Come and refresh yourself around a game of Alice Dreams Tournament Dreamcast! Please do not hesitate to come on our booth if you’re next. The hours are: today from 14 pm to midnight, Saturday from 10 pm to midnight and Sunday from 10 pm to 18 pm! Hi! We are in Strasbourg (France) at the festival Start To Play! 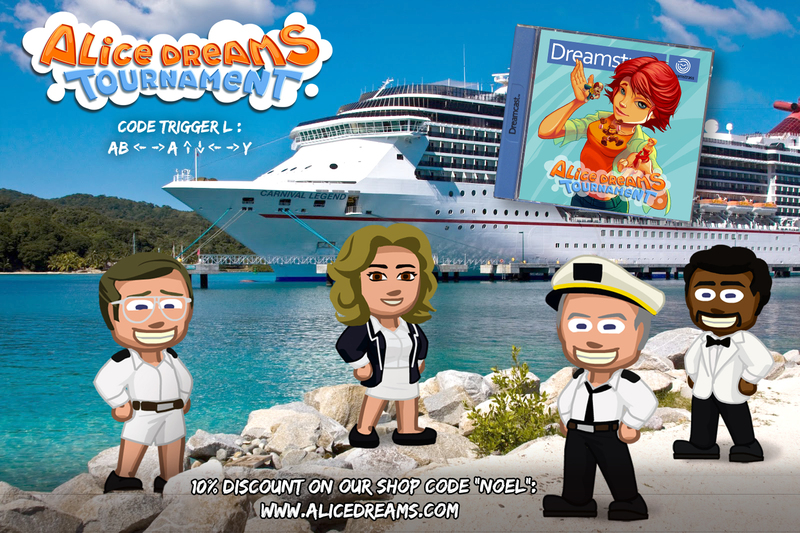 Yesterday, the players have not stopped playing to Alice Dreams Tournament on Dreamcast! The Dreamcast controllers have not had time to cool down!! Do not hesitate to come on our booth if you’re next ! The hours are: Thursday and Friday from 14pm to midnight, Saturday from 10 pm to midnight and Sunday from 10 pm to 18 pm! 1) Good news for the special characters !! We achieved in contacting the last person who missed by phone ! Every characters are now drawn and included in the game ! 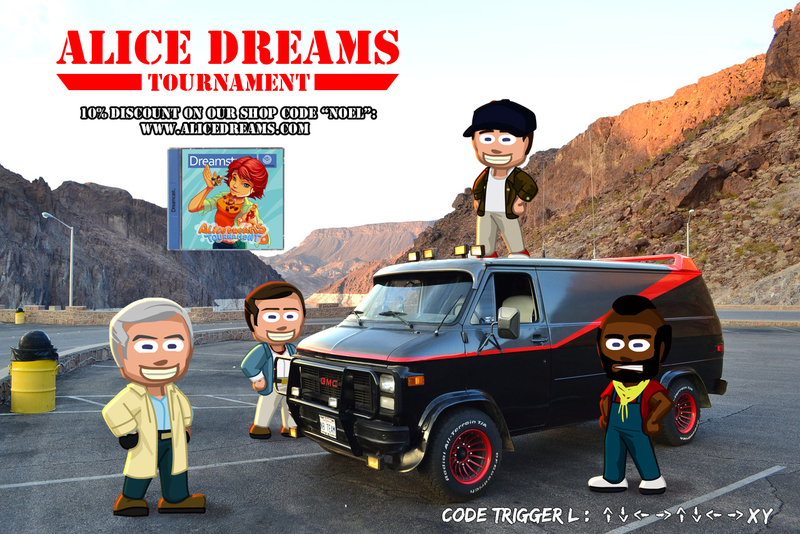 Time is now to generate a cheatcode for everyone ! 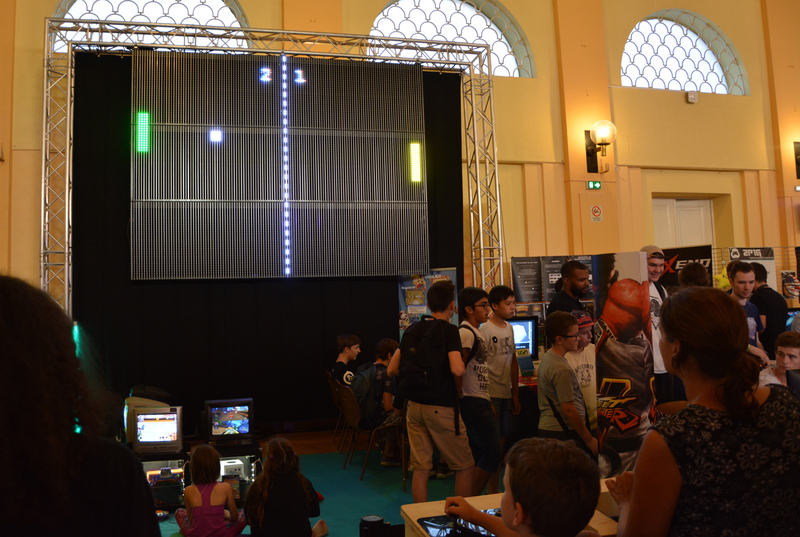 2) We went at the “Infoticaires 2016” at Courcelles (France, Nièvre). We made a great beta-test and we validated our last developments on the “Bomb Paint mode” and the additionnal VMUs interactions ! 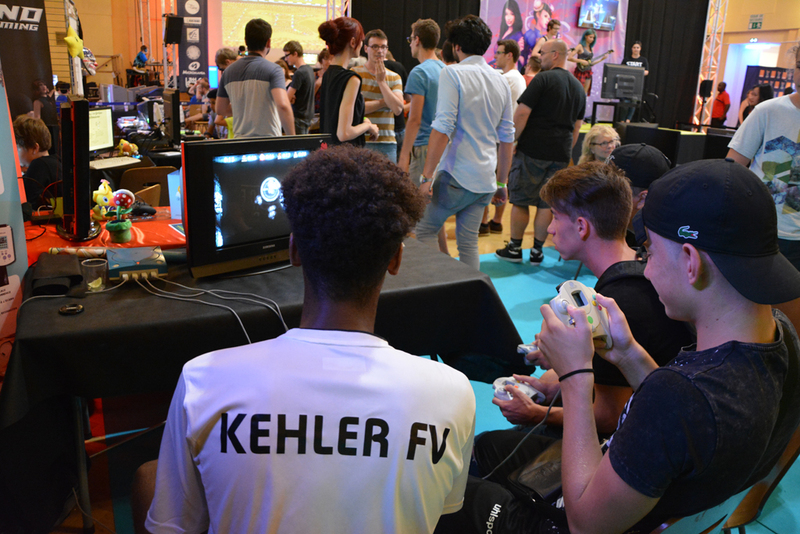 3) We’ll be at Strasbourg for the “Start to Play 2016” ! 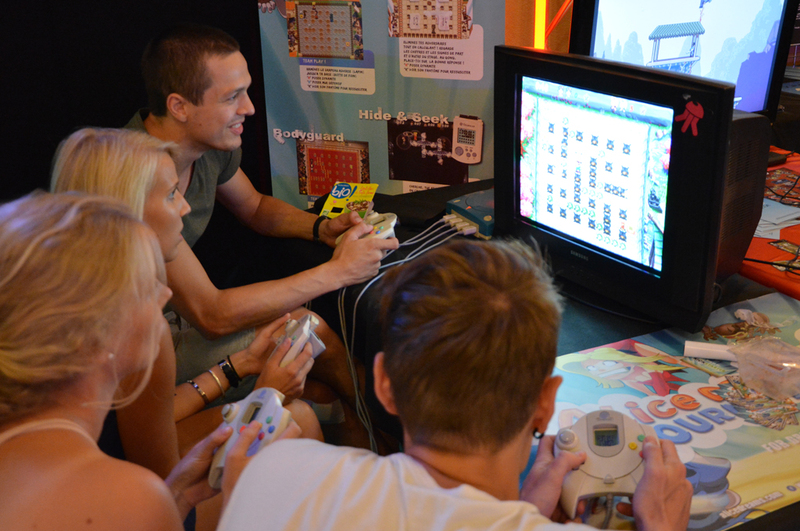 We will test the “Hide & Seek” mode playable 1-4 players with only one VMU ! Don’t hesitate to come and play ! 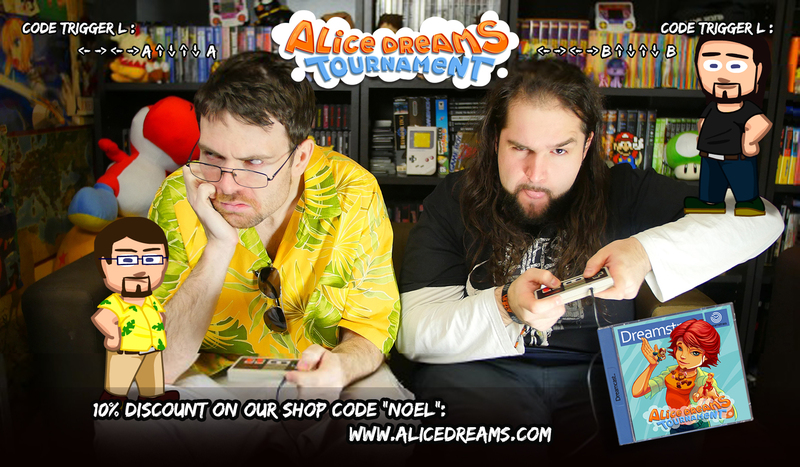 Please note that these controllers are for the 2 contributors who backed for the “Ultimate Dreamcast fan” ! 5) In its special issue devoted to the Dreamcast, the french magazine “JV” features an article on independent games and we’re lucky to be quoted!